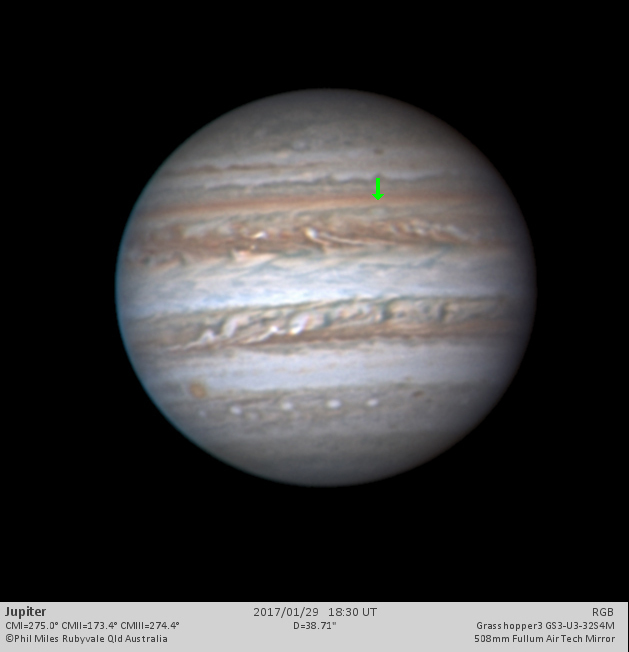 The Jupiter outbreak in the North Temperate Belt (NTB) that started in October 2016 has severely modified the aspect of the long lived North Tropical Oval called WZ. This oval formed from the merger of two other smaller ovals in 2012 (one of them present since 2008), and has experienced interesting color changes from white to red and back to white during its history. 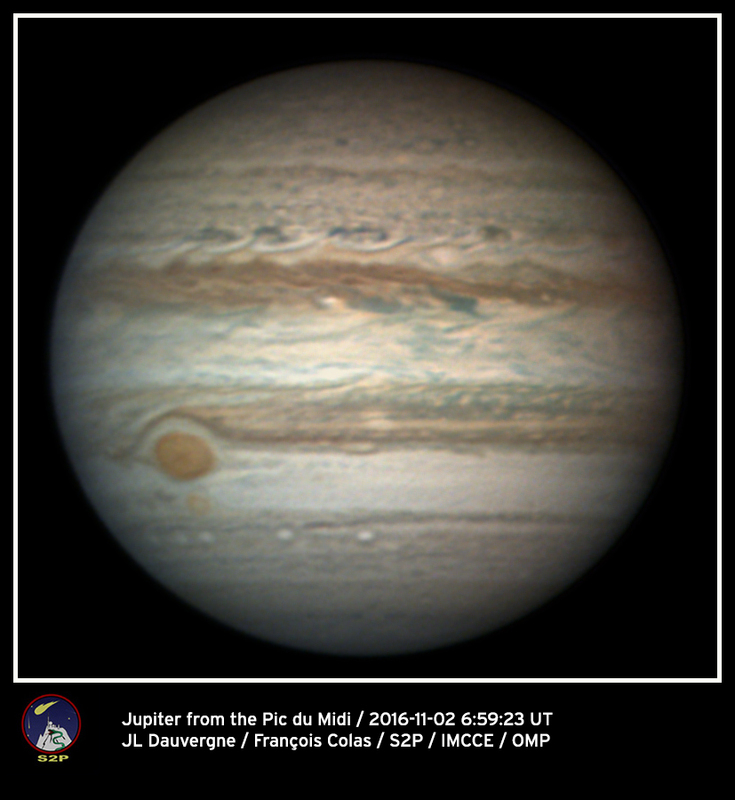 Observations obtained at the Pic Du Midi on November 2 show the latest images of this oval at the time of its interaction with the outbreak in the North Temperate Belt. The latest maps of the planet from January 30 compiled by Marco Vedovado shows this feature with low contrast and is only apparent in the higher resolution images. The oval, is still present in the atmosphere with a different coloration, cloud morphology and size as this image from Phil Miles shows. We urge continuous observations in particular in blue, violet and ultraviolet and in the 890nm methane absorption band to characterize its color and constraint the altitude of the remains of this oval.